How cute are these? Tiny, very pretty mini lemon meringues. 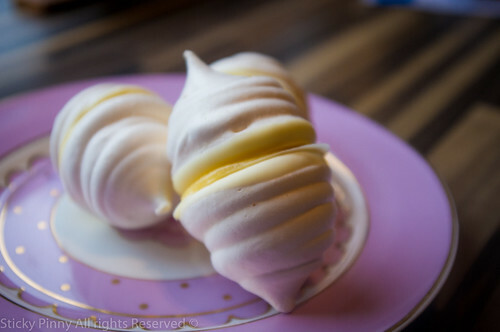 Mini meringues, dipped in white chocolate and then sandwiched with my home made lemon curd. Light, crispy, chewy, tangy and very moreish – these little beauties are pretty to look at, but even better in your mouth! All sugar is dissolved once you add it – just dip the tip of a finger into the mix and rub it against your thumb. If you can’t feel and sugar, its done. That way once cooked, they’ll keep for longer and you won’t have spots that weep. Don’t underestimate how long a meringue takes to cook – even small ones. 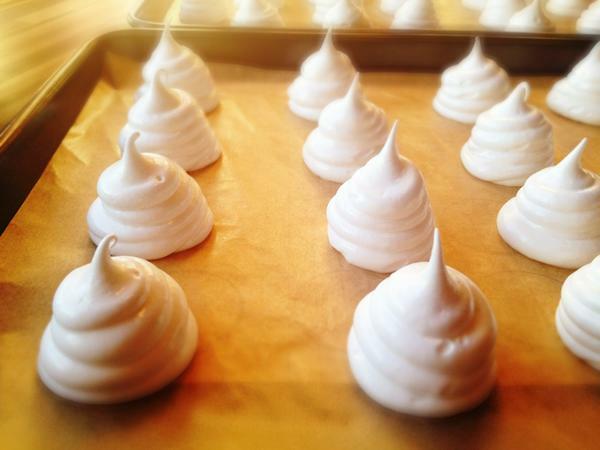 Long and low means you shouldn’t get discoloured meringues – even these minis took and hour and a half. Leave them to cool slowly in the oven. Taking them straight out and changing the temperature quickly can “shock” meringues and make them crack. Also, if you do end up with some of these babies left over, you can turn them into a great eton mess in minutes. Result! Preheat the oven to 120C. Beat the egg whites until they form soft peaks, then gradually add the caster sugar, whisking all the time until the sugar has dissolved and the mixture is very thick, smooth and shiny. Fold through the icing sugar and then pipe / spoon onto a baking paper lined tray – they should be about 3cm in size. Bake in the low oven for about 1hr 30 mins, then switch the oven off and leave to cool completely. Once cool, take out of the oven and set to one side. Melt the white chocolate in a bain-marie and leave to cool very slightly. Take each meringue and dip the flat end into the white chocolate to coat. you just want a layer that will protect the meringue from dissolving when they are sandwiched with lemon curd. Place the meringues chocolate side down on a sheet of baking parchment and leave until the chocolate has set. 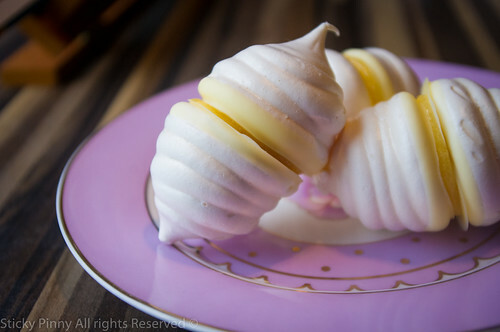 Once the chocolate has set, pipe or spoon a small blob of lemon curd into the centre of one meringue and sandwich with another.